Home Lifestyle Health & Fitness Mental Illness: Overcoming the Stigma….. Mental Illness: Overcoming the Stigma…..
As a little girl growing up in Jamaica it was the norm for the male members of the family to “lime” at the Rum Bar on a Friday Night where they had a chance to socialize and drink with their buddies. Back in the day with no TV and not much to do, that was the acceptable form of recreation, integrated into the culture. Little did we know that someday, that “social drinking” would progress to alcoholism or “addiction” for some people. In today’s world, however, it goes beyond alcohol and we see the social use of marijuana and other mind-altering substances, that if not used in moderation, could progress to addiction. Anyone who has experienced living with an addicted family member, knows very well what chaos, anger, stress, anxiety, and depression look like. Many were told “don’t talk about it because no one should know what goes on in the home”. In other words, “don’t talk about your business with anyone”. The irony of this though is the family as a unit suffers in silence by internalizing their negative thoughts and emotions, their shame, their guilt and their fears giving rise to psychological and physiological issues which could otherwise have been easily addressed by seeking professional help. The correlation between mental health problems and physical problems is quite profound and impactful as we can’t separate the brain from the health of body, mind and spirit. The more ashamed people are of their struggles, the less likely they are to seek help. While the physical effects of their condition contribute to their own obstacles, the mental limitations caused by public stigma may contribute to the individual’s hesitance as well, and as a result they refrain from seeking the treatment they need. Feeling stuck and hopeless means that not only will their healing be hindered or unsuccessful, but it creates a dark cloud that can linger for a lifetime, if not addressed. Whatever the circumstances are, the negative impact of stigma includes increased levels of stress, anger, depression, and anxiety. The negative impact of stigma also creates additional harmful effects such as the inability for family and friends to fully grasp the magnitude of the situation, inability to find employment or housing, social isolation, feelings of worthlessness and hopelessness. Stigma is almost always based on personal views associated with the lack of understanding rather than the facts. Gaining deeper perspectives and learning to accept rather than to condemn could help the individual and the family recognize what needs to be done to treat the condition. The moment we accept that stress, anger, anxiety and depression are very common among all walks of life, all generation, all color, all races; the easier it gets to seek professional help. One of the best ways to overcome the stigma of seeking professional help is by acknowledging there is a negative perception of the condition to being with. Perhaps it is the fear of being judged, the fear of rejection, the fear of abandonment, the fear of being labeled. 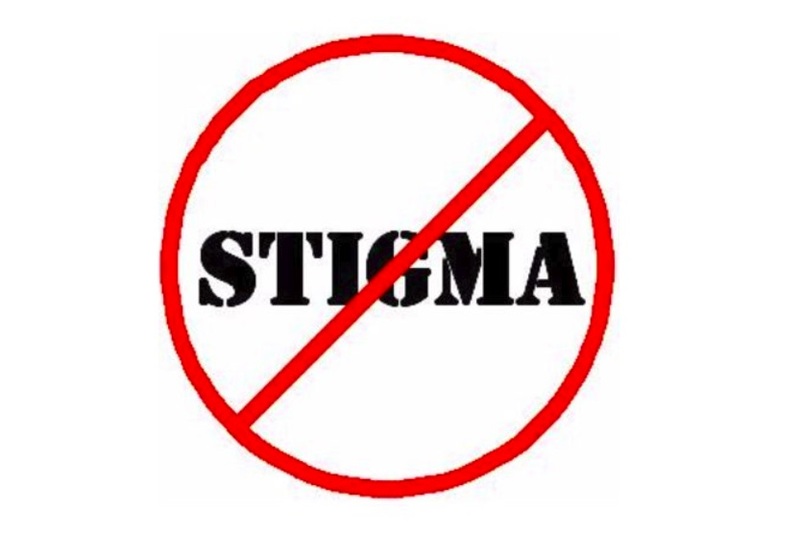 Often, the stigma is subtle and even unintentional, such as avoidance of a person with a mental condition out of the exaggerated fear that person is unstable, violent or dangerous. Stigma can even be directed inwardly if the person with a mental illness or substance abuse issue feels that he/she is less worthy as a result of his/her condition. So, the question is, how do we overcome the stigma? Here are some helpful tips that I think will help those struggling with the Stigma. The support of people who love you and understand your struggles will be a great source of comfort. Those who witnessed or experienced similar struggles are much more compassionate and less likely to allow society’s stigma to affect how they respond to you. Ignoring judgments could be one of the most valuable things a compassionate group of people can do to help during the time of healing. The anger, the guilt, the shame, the embarrassment, the rejection, feeling alone and isolated, feeling stuck and hopeless. These are all emotions that you may experience and that’s normal under the circumstances. This is your time to disregard these stereotypes and accept the need to openly express the feeling and the struggles you encounter. Seeking help in a professional, supportive, non-judgmental and non-critical environment is an important part of keeping the stigma away from the healing process. Choosing the right Professional and Program for you can be gratifying. Working on regaining your self-esteem and overcoming self-doubt and shame will help restore a sense of self that will propel you to higher heights. Educating yourself with information about your own circumstance will allow you to better navigate past the stigma that surrounds it. Knowing exactly what to expect during treatment will greatly aid in the healing process and success. In addition, seeking professional help provides a safe, secure, non-judgmental, non-critical environment to talk openly about the underlying issues that lead to maladaptive behaviors and provides the opportunity to explore effective ways to achieve goals and objectives. Avoid negative self-talk such as “I’m a loser, I won’t amount to anything, I won’t fit in, no one will understand”. Instead replace those with positive affirmations by reminding yourself of your worth, your strengths, your attributes and your goals for the future. Support groups are great ways of meeting other people who share your condition and help you realize that you are not alone. Support groups provide healing from emotional pain, promotes social interaction, strengthens coping skills, and provides support from others with similar struggles. You don’t have to suffer in silence, help is available. Overcome the stigma!